Roomservice by CORT unlocks the difficult-to-appreciate value in a home. 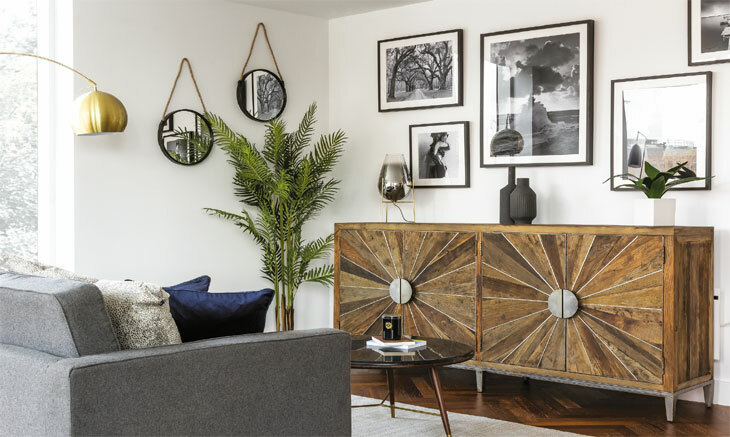 Filling an empty property with furniture or dressing a rather lacklustre home with eye-catching accessories may seem frivolous but when it gets harder to tempt potential purchasers to pick up the phone, a well-placed cushion or console table could prove pivotal in generating business. Let’s set aesthetics aside and start with some hard facts. 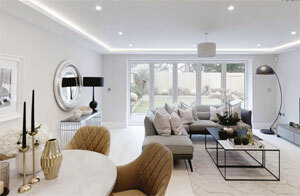 The Home Staging Association – yes, it’s such a serious and growing sector that it has its own industry body – conducted a survey among property professionals in 2018 that found 70 per cent of estate agents said a dressed property increased the offer value somewhere between 3-6 per cent. A photo of an empty room does not give much sense of the space the property offers. Good photos of a well-staged property will attract much more interest and more viewings. Tim Harling, Roomservice. Roomservice: From a cold box (below) to a beautiful, and desirable room. A quicker sale for more money has to resonate with agents who are don’t want to see their listings languish on the market – and for sellers who need as much as they can get. Joe Dewar, Manager at Curchods estate agents in Esher, found home staging invaluable when he had a tricky sale, “We were instructed to sell a vacant property that had been on the market for months unsold with another agent. The previous agent had suggested the client reduce the price in order to sell. Poppy describes a test whereby a property was presented and shot in four different ways: unfurnished iPhone shots; unfurnished professional photos; furnished iPhone shots and furnished professional shots. The furnished property that was professionally shot received six times the number of enquiries compared to the unfurnished property shot with an iPhone. Achieving a higher price makes perfect sense when agents charge a percentage of the selling price and a similar principle applies to lettings when the agent goes on to manage a property it lets. “A dressed rental property looks much better than an empty one – it makes a huge difference,” says Tim. “Tenants see a property’s photos and they make snap judgments. A photo of an empty room tells the prospective tenant very little and does not give much sense of the space the property offers. 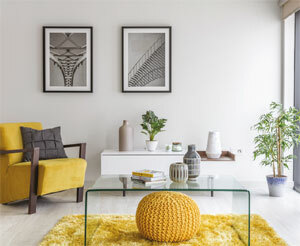 Good photos of a well-staged property will attract much more interest and more viewings,” – essential when search results are often full of empty rentals and the agent is desperate to minimise voids. Druce, a residential agent focused on Marylebone and Fitzrovia, in central London regularly calls on the services of Roomservice by CORT when staging vacant lets. 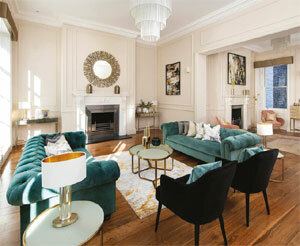 They had an apartment in Marylebone that had been on the market for some time. When a home staging package was installed, they were able to secure an offer within two weeks. “Our rental portfolio would suffer without staging,” says Druce’s Paul Thomson. Paul touches on furniture packs, which is an area both estate and lettings agents can explore. Home staging companies can fit-out a property with furniture and accessories on a rental basis until the property is sold or let. The incoming occupant then has the opportunity to buy or rent everything as seen. Loft Interiors’ showflat at Deansgate Square, Manchester. The furniture packs don’t have to be extravagant and they allow properties to be marketed as turnkey ready – ideal if you’re targeting the student let, relocation or investment market. The demand is certainly there. Many of Paul’s tenants love the furniture they see on a viewing so much that they go on to rent for the duration of their tenancy or even buy the package outright. There are plenty of companies to partner with if you want to include furniture packs as optional extras, such as Fully Furnished and David Phillips. The former makes a point of promoting its emergency furniture service, where they will deliver nationally within 48 hours, while the latter has dialled in to more niche markets, including student accommodation, housing associations, retirement complexes and social housing. 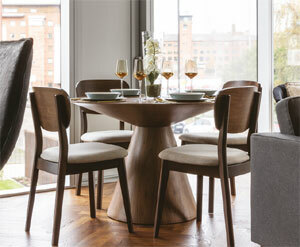 Many furniture suppliers offer white label furniture packs and home staging, which allows agents to market a complete lifestyle under its own brand – marking up the service to clients in the process as an income boost. He is also keen to stress that tenants will expect the flat they let to have the same furniture as they see in the show home. Loft Interiors, The Trilogy apartments. 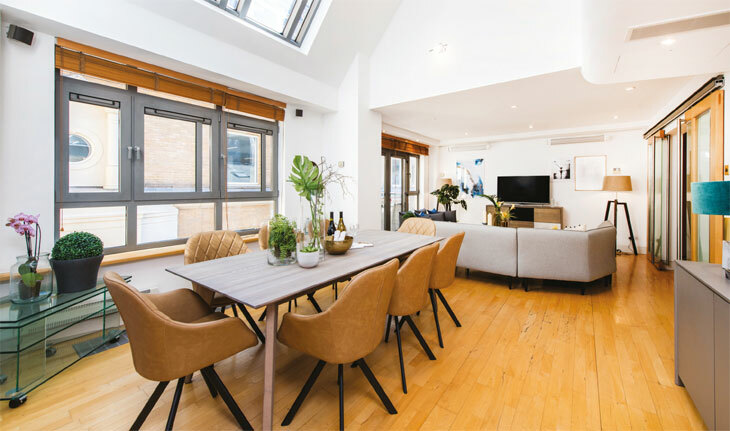 Agents will increasingly need to forge relationships with businesses like Loft Interiors if they are to capitalise on Build to Rent – it’s a sector that requires an agent who can do much more than merely let a property. The ability to source and supply furniture will be especially important for agents hoping to work directly with developers and investors, as many will need a full-service agent partner to provide an end-to-end rental and management service. It’s easy to dismiss home staging as a few scatter cushions or the preserve of new build show homes but it’s far more than a superficial, token gesture. The research is compelling for agents who need to sell or let quicker and at a better price, especially in a stagnating market. In addition to increasing leads, dressing to impress can provide a point of difference when you’re up against other agents’ add a new dimension to the range of services that your agency offers and help you win business with developers.